Some of you may have seen last weekend’s Later show with Jools Holland in which Ringo Starr, amongst others, made an appearance. It was great to see the Beatles legend still full of passion and a certain sense of ‘coolness’. 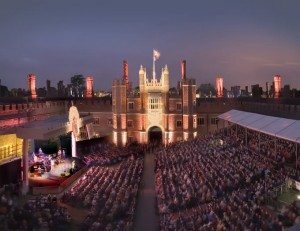 It was also good to see the two interact given their forthcoming appearances at the Hampton Court Palace Music Festival, with Jools talking about the ‘incredible maze’ at Hampton Court! Ringo Starr has had a lot of success post-Beatles, building a successful solo career as well as acting. Notably Ringo was named this year by Rolling Stone readers as the 5th greatest drummer of all time, coming after other iconic names such as Neal Peart and Keith moon. He’s now touring with his All Starr band across the world and including stops in New York, Boston as well as some major European cities. The line-up is always changing depending on the musicians other commitments: this years line-up (the eleventh no less!) features musical legens such asÂ bassist Richard Page and guitarist Rick Derringer Â who has previously toured with the Rolling Stones. The Hampton Court Music Festival truly is a unique event, combining the splendour of the famous Palace with a world class line-up which this year features greats such as Bryan Adamas, Ringo Starr and James Blunt. Nowhere else could offer such a memorable blend! With just over a month to go now is the prime opportunity to book with Team Tactics a unforgettable hospitality experience in the State Apartments. Guests can expect luxurious treatment including reserved seating in the covered VIP area, a champagne and canape reception and fabulous cuisine with fine wines. 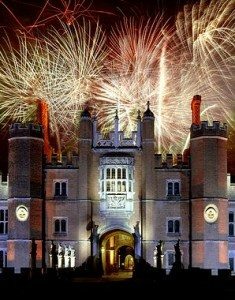 Contact us today to book your hospitality at Hampton Court Festival! Character, Complex, Potential & Faults – And Let’s Not Be Prejudiced!